At the end of a small paved lane, two kilometres south of Duong Dong town, Thanh Kieu Resort opened in 2005. This prime plot of land was originally the owners’ family home. 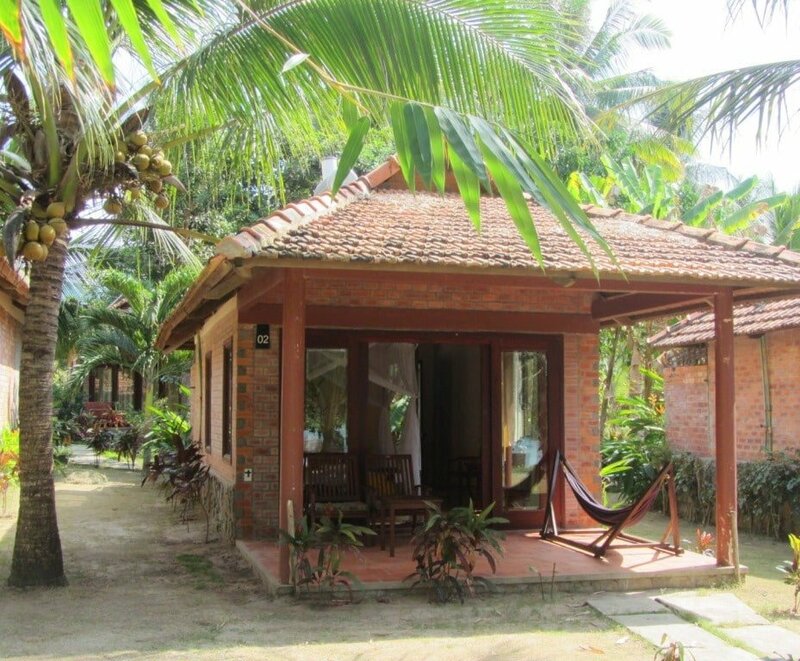 But, as Phu Quoc became more popular, they started to build simple brick and tile bungalows near the beach. Over the years it has grown into a resort, currently boasting over 40 bungalows amid gorgeous gardens, set a little back from their sublime stretch of sand. I’ve been visiting regularly since 2008 and I’ve seen it grow with each year. Despite the expansion and the ever increasing number of visitors, Thanh Kieu has managed to retain the laid-back, informal feel of a local, family-run resort. Staff, many of whom are from the owner’s family, are polite and friendly enough, but not ingratiating, as is so often the case with the over-trained staff at other resorts. Any rapport between guests and staff is likely to be genuine, not forced. Thanh Kieu is a low-key resort. Rather than building fancy swimming pools and luxurious bungalows equipped with modern gadgets, Thanh Kieu has chosen to let their marvelous slice of island paradise do all the talking. 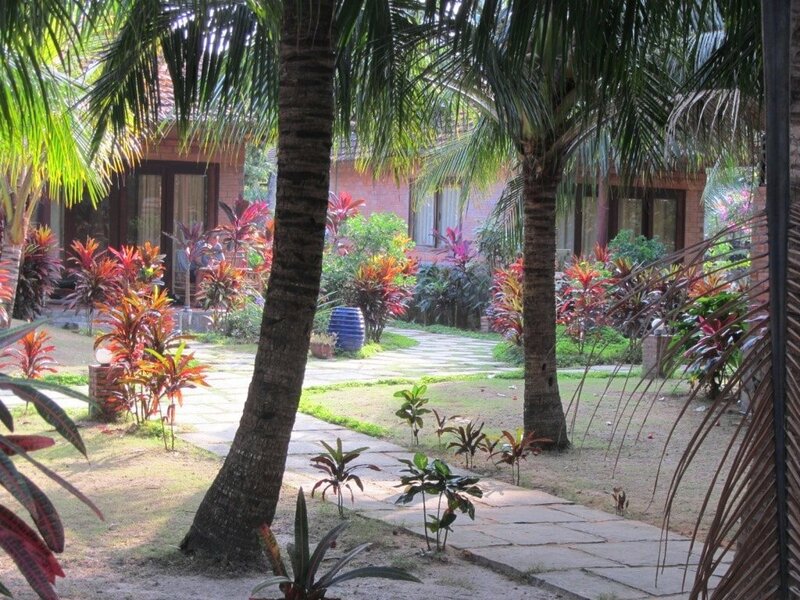 The gardens are beautifully maintained, with stone-slab pathways leading between coconut and areca palms. 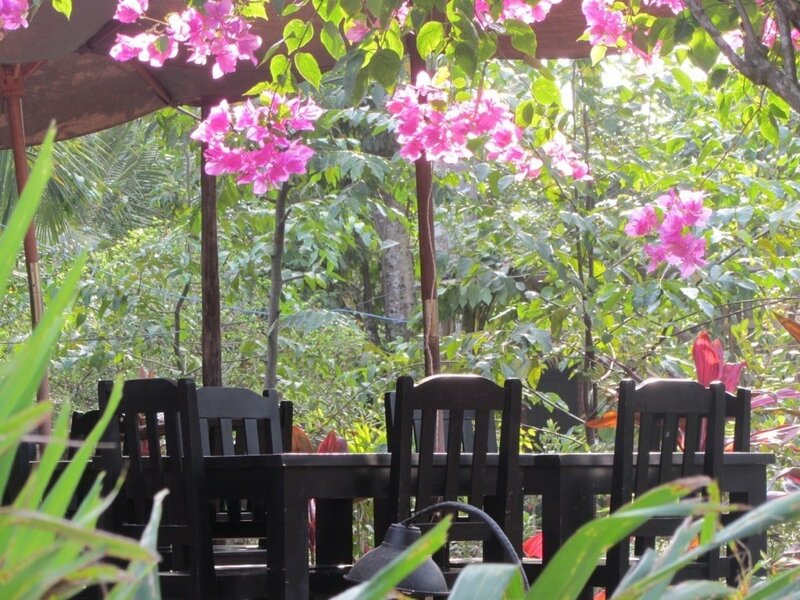 Bamboo, bougainvillea and a host of exotic, colourful, aromatic plants and flowers grow throughout the grounds. In the mornings they are full of birdsong; during the day the leaves rustle in the sea breeze; in the evenings cicadas and frogs sing a nighttime chorus. The beach, shaded by tall coconut palms and tropical almond trees, is the most alluring section of sand and sea along the entire length of Long Beach. The fine sand and calm, blue, lapping waters of the Gulf of Thailand, is exactly what most visitors to Phu Quoc Island come looking for. Thanh Kieu’s beachfront is wide enough to accommodate all its guests without ever feeling crowded. Wooden loungers under palm-thatched parasols are generously spaced out under the swaying trees. The new and improved beach bar serves good Vietnamese dishes and average Western food, and is a great place for a cocktail or fruit juice while watching the sunset over the horizon. One of the resort’s main strengths is genuine peace and quiet. Within the resort’s grounds, recorded music is never forced upon guests. This is a great relief in Vietnam, where sound pollution is often a problem, even in the smartest resorts. At Thanh Kieu the only sounds you hear are natural. Indeed, Thanh Kieu always feels calm and relaxed: even during the high season months, around Christmas and Lunar New Year, there’s no sense of it being crowded or busy. Breakfast (included in the price) is served in a wonderful wooden house, raised on a stone platform, and surrounded by lush foliage. Outside dining in the cool morning air is a real treat (even though the breakfast itself is not particularly special). In general, Thanh Kieu blends in with its natural surroundings, and works with nature rather than against it. 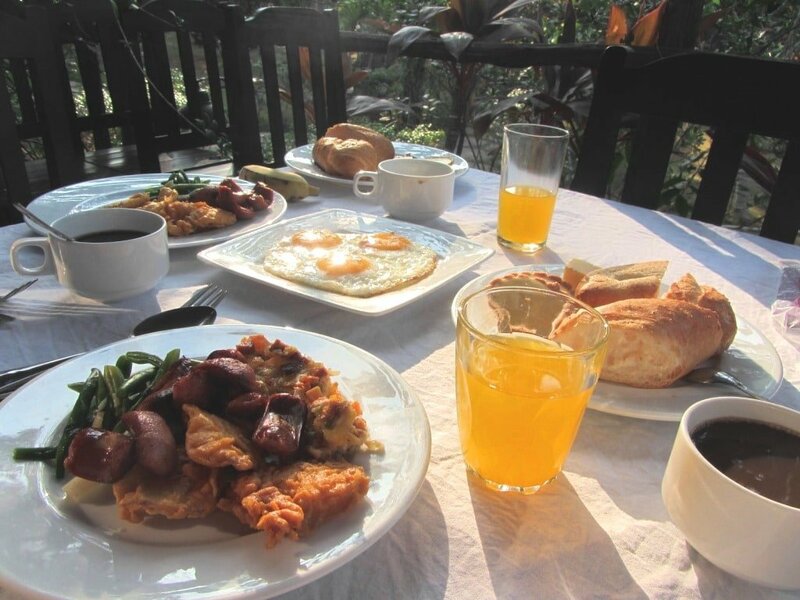 The majority of building materials are sourced locally, as are most of the ingredients for food (a lot of the fruit at breakfast is fresh from the resort’s gardens). Water is heated by solar panels atop each bungalow, and, although there’s enough space for another row of seafront bungalows, they’ve left it as a grassy, shady, beach garden instead. This entry was posted in ALL, Beaches, HOTEL REVIEWS, Phu Quoc, Phu Quoc, The South and tagged accommodation, beach, best, island, long, Phu Quoc, resort, review, Thanh Kieu, Vietnam. Bookmark the permalink. Tom, Agoda didn’t show vacancy but the hotel had rooms. We stayed one night in a bungalow and fully enjoyed the resort. Then we wanted to explore the island. So the second and third nights we stayed at their sister propert Galaxy Hotel for a 1/4 of the price. It was nearby and has full access to Thanh Kieu’s beach. Happy to hear you enjoyed your stay. Yes, Agoda have limited rooms available, so if there’s none available through them it’s always a good idea to go through the hotel directly. That’s very interesting about Galaxy – I didn’t know it was Thanh Kieu’s sister hotel. Thanks for the tip – I will check it out next time I’m on the island. My wife and I will be honeymooning in Viet nam late February/early March next year. We have a few musts: time at the beach, see some of the amazing scenery Vietnam is known for, and eat as much food as possible. Big cities are not essential to us as we are not big nightlife people but we do want to get a good cross-section of the country. We will fly to most destinations to save travel time and are staying in mid-tier hotels. I know this is still a lot of travel for a short trip but we are having a very hard time editing especially since we will not have a chance to come back in the foreseeable future. Thoughts? Instead of Phong Nha and Hanoi/Bai Ti Long, we could go to Dalat and pad extra nights in the other places as well. It just seems criminal to go to Viet Nam and not see the karst dotted landscapes it is so famous for. That looks like a pretty solid itinerary to me. 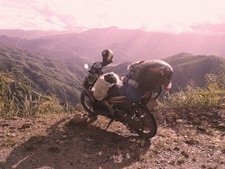 I think it’s best to stick to your original plan of Phong Nha instead of Dalat. However, bear in mind that the weather in Phong Nha will not be as good as the weather in Dalat at that time of year. Also, the beginning of your trip might coincide with the Tet Lunar New Year holiday, in which case you should book all transport and accommodation a long time before you arrive, because at that time of year things get busy as the whole country travels for New Year. Yes, a day-night trip to Bai Tu Long/Halong Bay is OK. It is rather spoiled these days, but, as you rightly say, it’s a bit strange coming to Vietnam and not visiting it’s most famous attraction. 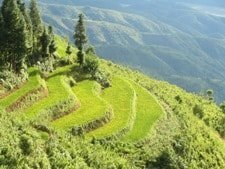 If you’d like to support my website, please consider booking some of your accommodation through Vietnam Coracle – more details about that here. our last part of our journey will be phu quoc, for 4/5 nights – and – we are looking for a good hotel/resort where we can relax and have a great time. 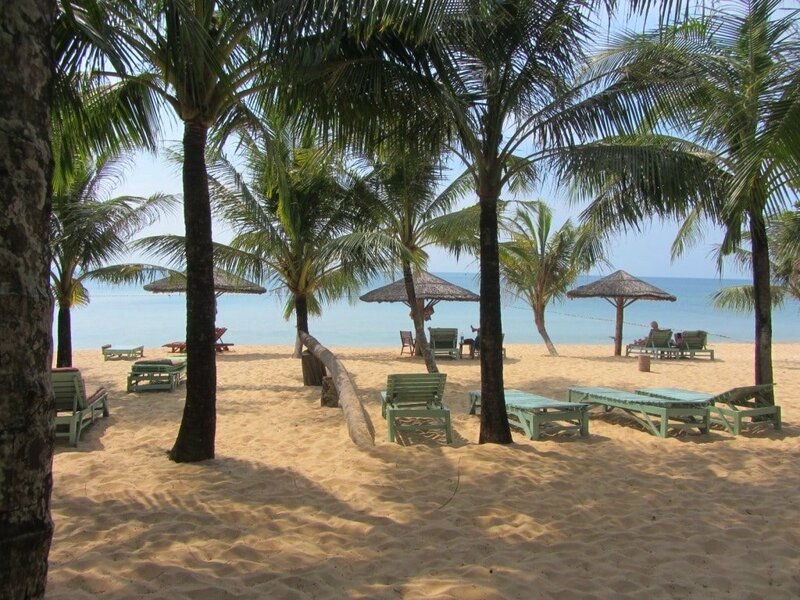 the thanh kieu beach resort look pretty nice, do you know how it is in the begin of january – i mean, are there a lot of people and is there enough place on the beach etc.? i read a lot of comments of the hotel (tripadvisor, booking.com etc.) – and there are different posts about the quality of the hotel/resort, what you can say to the resort right now? You could take a look at my review of Mango Bay too. Also, you might be interested in my guide to Phu Quoc’s Beaches, which also includes some accommodation suggestions. If you’d like to support my wesbite, please consider booking your accommodation through the Agoda search boxes or links on this page – I really appreciate it. another question to you – did you know a good hotel/resort in mui ne, which is also like this here? I’ve reviewed a couple of hotels in Mui Ne that I like here. There’s a lot of choice in Mui Ne. You can browse all the hotels here. As well as the ones I’ve reviewed, Cham Villas and Bamboo Village are very nice and so is Villa Aria. I am planning to visit Phu Quoc for 2 days in early December and would like to go scuba diving. Can you suggest anyone ? I have found Rainbow Divers online? I will be travelling with my elderly father. Can you recommend a resort that is reasonably priced and quiet where he can relax on the beach and that is not too far away ? 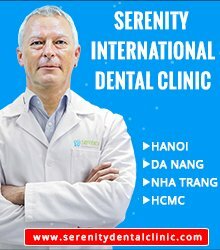 Would Thanh Kieu be suitable ? Yes, rainbow divers has a good reputation, so I think they would be fine. Just book a room at Thanh Kieu resort for December first week. What is the best way to go to the An Thoi Island, Fingernail Island? Most resorts can organize boats to the islands, and also the dive shops and several travel agencies on Phu Quoc. It’s best if you go in a group because this will spread the cost. Hi Tom! Love your web site, thank you so much for all of the great information. We are going to Phu Quoc in December, and I’m hoping to find a resort that doesn’t border on construction – a common theme in the reviews of a lot of places that I’ve been reading. Thanh Kieu Resort looks fantastic, but I hear that there may be construction right next door. Do you have any recommendations of places where we might be able to avoid this noise? Also, have you ever been to, or do you have an opinion about Freedomland on Phu Quoc? Yes, it can be a problem finding a place to stay on Phu Quoc that doesn’t have construction near it at the moment. I stayed again at Thanh Kieu 6 months ago and they were building another resort next door but such is the density of foliage in the gardens of Thanh Kieu that we didn’t notice any noise or disturbance from the construction at all. Some of the more isolated resorts, such as Mango Bay, Bo Resort and Peppercorn Beach Resort might also be good options to look at. And Freedomland is good too. 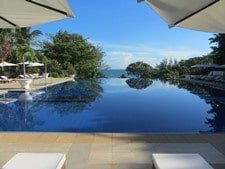 If you haven’t already, then take a look at my Phu Quoc Beaches guide which also mentions some places to stay. If you’d like to support my site and the work I do, may I ask that you consider booking your hotels through Vietnam Coracle via the Agoda search boxes (like the ones on the page above) or links like this one. If you end up making a booking then I receive a small commission (at no extra cost to you) which goes a long way to keeping this site up and running. Great website. I like the idea your mom is your biggest network! Yes, I certainly do think Thanh Kieu would suit your needs. It’s very relaxed, has a lovely beach, and you can walk to town in around 10 minutes – either along the beach or along the road. Met your lovely mum briefly the other day here at Thanh Keiu and she gave us your card as we are just off to district 3 in Saigon this afternoon to stay at a Homestay. Great informative site…..you’ve given us plenty of foods to try during our three days there and told us we’re to try it too….priceless!!! P.s. Could not agree more with your review of Thanh Keiu but think the price is ok….that extra is for the natural beach front and to keep away the young noisy backpackers..ha ha. 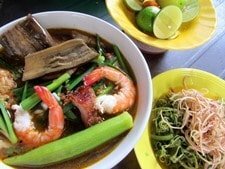 I hope you get a chance to try lots of food during your stay in Saigon – cơm tấm is a must! We are now on the Con Dao Islands which is always a very different island experience to Phu Quoc. We’re in two minds about whether to go to Con Dao or Phu Quoc. We’re strongly leaning towards Con Dao as we’re looking for a quiet, unspoilt beach experience for 4 nights as part of our honeymoon. Definitely not looking for a “party” environment. We’re looking at staying at either Con Dao Resort, or if Phu Quoc, we would look at this resort due to your recommendation. If you haven’t already, then have a look at this article comparing the two islands. It also depends on what time of year you are going? Con Dao is definitely not a party island. Phu Quoc is to some extent, but it’s easily avoided and Thanh Kieu is very quiet. Con Dao Resort is all about the view from the seaview rooms. The hotel itself is not particularly atmospheric, but the view and position is stunning. Walking from the resort to the quiet town and along the seafront promenade is very relaxing and romantic. Thanh Kieu is quiet and green. It’s in a line of other resorts, so walking on along the beach is great, but not walking along the road. 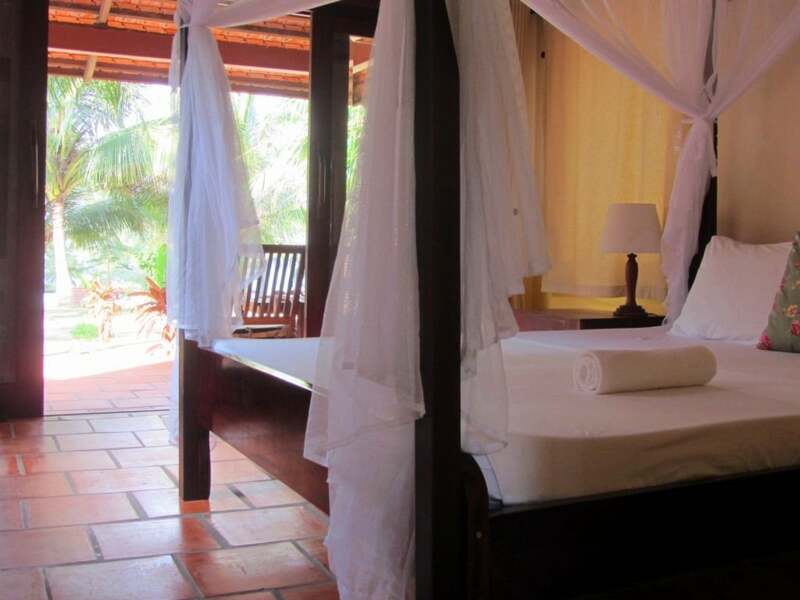 Mango Bay on Phu Quoc is also a very romantic place to stay. Click the links in this article to find prices and pictures on Agoda. Thank you so much. So Con Dao it is for us. 🙂 We’ll be there for 5 days in December. I see there is a strong chance of heavy winds, but I have no doubt there should be some quiet time for swimming and snorkelling in between and when it’s windy, we’ll go hiking or explore the prison and other sites. Great! I hope you have a wonderful time. Was wondering, is there any budget or low range accommodation you would recommend on Phu Quoc? Ideally on a beach which is fairly quiet and secluded? 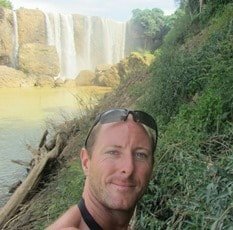 We’re two backpackers, so $50-80 is a bit much for us, even though it looks beyond perfect! I don’t have any specific budget recommendations for Long Beach on Phu Quoc. By you can try the small lanes leading down to the beach off the main beach road south of Duong Dong town – about a kilometre or two past Thanh Kieu you’ll see signs on the road for ‘Backpacker’s Dorms’. Check these out, and look down those lanes – near the beach (if not on it) you may find rooms for around $20-25 (500,000vnđ) for a double. Away from Long Beach try Thuy’s House – my friends give this rave reviews for budget, beachfront accommodation and food. Google it and you’ll find what you need. Thanks Tom for this terrific and useful blog! I am planning to come back to Vietnam to visit my son, Bill. I am always querying him on places to see and stay while I am in Vietnam. I prefer staying and visiting places of what you have so eloquently described the Thanh Kieu Beach Resort, Phu Quoc Island to be. I will look forward to reading more of your travel blogs before I make any of my reservations for traveling there as I am sure your suggestions will be very helpful.Thanks! I hope you enjoy your next trip to Vietnam. Phu Quoc is just a short flight from Saigon so it’s easy to get to. 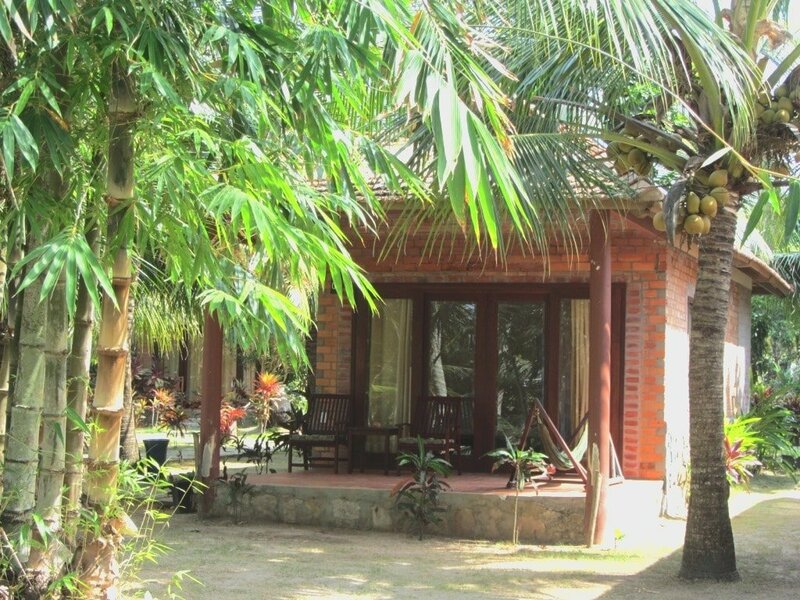 Vietnam has plenty of good mid to high-end beach accommodation, especially in the south. You might also be interested in Ho Tram Beach Resort, which is also just a couple hours’ drive from Saigon. 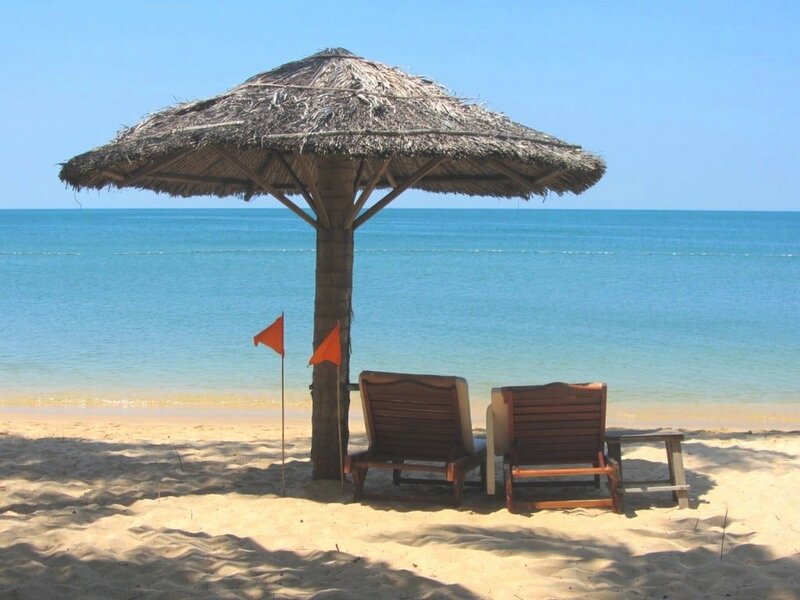 Hi Tom, my husband and I stayed at the Thanh Kieu Beach Resort 18 months ago – highly recommended!